Does your cleaning validation meet the current requirements of Annex 15 to the EU GMP Guidelines? 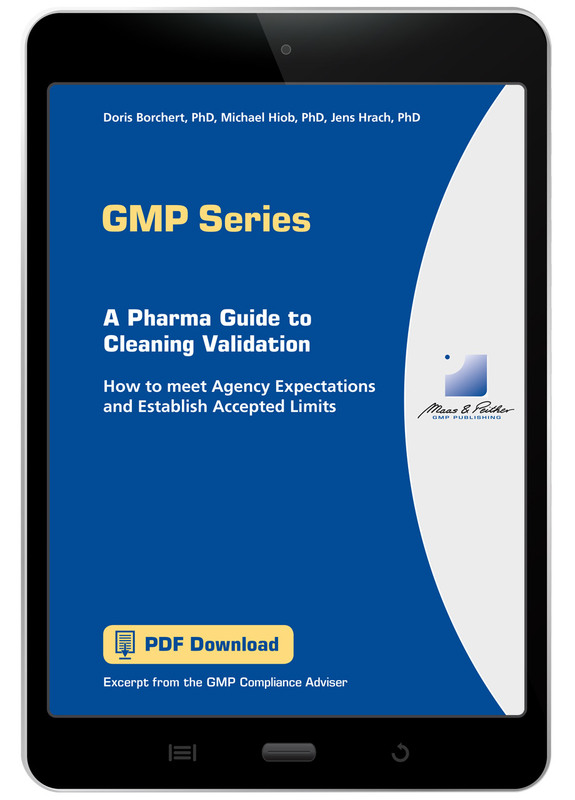 This report offers you practical strategies to implement an up-to-date cleaning validation and meet regulatory requirements. Does your cleaning validation meet the current requirements of Annex 15 to the EU GMP Guidelines? And are you already familiar with the new requirements for establishing limits in cleaning validation? Michael Hiob, a German Ministerial Pharmaceutical Director and former GMP inspector, gives a comprehensive overview on agency expectations and tells you how to set up a risk-based cleaning validation in consideration of the lifecycle approach for products and processes. Dr. Jens Hrach, toxicologist, explains what the new PDE approach is about and points out its implications for cleaning validation. The lifecycle of the process should be taken in consideration. A quality risk management approach should be applied. Limits for the carryover of product residues should be based on a toxicological evaluation (PDE report). Every page offers practical strategies to implement an up-to-date cleaning validation and meet regulatory requirements.